Frideswide was a particularly venerated in the Oxford area, and one of Francis Lovell’s sisters bears her name. The church also contains several notable medieval burials, including the beautiful tomb of Elizabeth de Montfort (died 1354), Baroness Montacute, an ancestor of Richard Neville–Warwick the Kingmaker. Bright colours remain on the tomb-chest even today–although the faces were all smashed off the carved weepers during the Reformation. The numerous weepers once depicted Elizabeth’s children.The remains of a chantry chapel with a painted vaulted ceiling extends from the Baroness’tomb. There is also the effigy of an enormous knight whose identity is not known for certain–it is given as Sir Henry de Bathe or Sir George Nowers, a companion of the Black Prince who died in 1425. (It is more likely to be the latter. )Whoever it was, the armour detail is very fine and the skeleton within was about 6ft 8! How did the Black Prince’s funeral procession cross the River Darent….? Does anyone out there know the answer to a puzzle that has cropped up in my research? Watling Street, the Roman road, was the main route between London and Canterbury, Dover, etc. This made it very important. Watling Street passed through Dartford, crossing over the tidal River Darent. But wait, there wasn’t a bridge there until the reign of Henry VI. There was a ferry. Does this mean that before then, every traveller on the road, royalty and all, had to use the ferry? The river was tidal, so did they have to wait for suitable water for the ferry to cross? I can’t see that wading across at low water would be advisable in all that mud…and certainly not for the royal hearse drawn by twelve horses that passed through Dartford in 1376! It all seems very unsatisfactory for one of the main roads in the land. And very undignified for the great Edward of Woodstock, known to us as the Black Prince, who was being mourned throughout the realm. Yes, I know there were other rivers to cross elsewhere in England, and other ferries instead of bridges, but I am concerned with this road, river and ferry. In September 1376, the prince’s great funeral procession went through Dartford on its way to Canterbury. Depending on the size of the ferry, such a vast cavalcade would have taken ages to cross. Granted, Dartford was probably the first overnight halt out of London for this ponderous cavalcade, but even so, the bridgeless Darent must have caused a bottleneck second to none. Researching (meaning my way of researching, which is pretty amateur) Edward of Woodstock’s funeral has produced only what he instructed in his will. Plus I know how long it took, i.e. arriving in Canterbury on the fourth day after setting out. But then, full stop. Oh, there is more available about the actual arrival at journey’s end, but that is not the part of the proceedings with which I am concerned. The actual mechanics of the first three days of the journey, if covered by anyone, have eluded me. And when the funeral cortege halted, would the prince’s coffin be placed overnight in Holy Trinity church, which is right next to the Darent crossing? Or would it stop on the northern outskirts of the town, where there was a royal palace/house, with appropriate land/space for all the people and horses? Or was it a mix of both – the prince in the church, everyone and everything else in the royal house? To say nothing of filling up the rest of the town as well. Dartford must have bulged at the seams. All the royal family, all the higher nobility, lots of lower nobility, the denizens of Parliament, priests, and all sorts of other Toms, Dicks and Harrys. Oh, questions, questions! I want to be accurate in a description of all this, and would love someone to “conjure” an earlier bridge into existence. A vain hope, I fear. So, if anyone knows anything at all, please let me know. Henry Vll and his children in mourning for Elizabeth of York. An idealised presentation of Henry. His children , Margaret and Mary sitting in front of the fire while a young Henry weeps into his mother’s empty bed. From the Vaux Passional, a 15th century manuscript. And so on this day Elizabeth gave birth to her son Arthur. Arthur’s life was destined to be short and he died on 2 April 1502. And so the fickle wheel of fortune turned once more with Arthur’s parents feeling the same pain, despair and shock that are recorded as having engulfed Richard lll and his Queen, Anne Neville on the death of their small son Edward. Perhaps Henry’s pain was cushioned somewhat by the knowledge that he had a spare heir, Henry Jnr. Elizabeth is often quoted as having said, an in attempt to comfort Henry that they were young enough to have another child. (1) Whether she said this or not – how would such a personal conversation be known to others? – as sure as eggs are eggs, Elizabeth did indeed become pregnant soon after , a pregnancy that we all know resulted in her death. So thus in another strange coincidence Henry also lost his wife a few short months after the death of their son as did Richard. It is said by some that Henry’s and Elizabeth’s marriage was a happy one, they both growing to love one another over the years. Alternatively you will read that she was considered by some to have been kept subservient and that Henry was not uxorious. You will have to form your own opinions over that one dear reader. Either way she has my sympathy with regard to her mother-in-law, the formidable Margaret Beaufort, to whom Henry remained close. Indeed a certain yeoman of the crown John Hewyk ‘grumbled that he would have spoken more to the Queen had it not been for that strong whore, the King’s mother ‘. (2) with a Spanish observer writing that ‘she is kept in subjection by the mother of the king. (3). However there are some examples that demonstrate that Elizabeth was not entirely a push over nor totally ‘eclipsed’ by her mother-in-law Rosemary Horrox gives us one such example where a Welsh tenant appealed to Elizabeth over an injustice involving the king’s uncle, Jasper Tudor, which led to Elizabeth ‘responding with a firm letter to the said Jasper. (4) Bravo Elizabeth! Although much has been written about her death and funeral , and I won’t go into that here, interesting as it is, nothing much is known about her personal feelings towards her husband, the demise of the House of York, the treatment of her mother, Elizabeth Wydeville, and her ‘retirement’ in to Bermondsey Abbey, the fates of her brothers or the identity of Perkin Warbeck. However her Privy Purse Account have survived and perhaps some thing of her nature and true feelings may be gleaned from them. Sir Nicholas Harris Nicholas, writing in 1830, was editor of The Privy Purse Expenses which also include a memoir. Sir Nicholas seems to have been a little in love with Elizabeth, whose motto was ‘Humble and Reverent’ attributing to her ‘most if not all of the virtues which adorn the female character’. He notes that her expenses consist chiefly of rewards to persons who brought her presents with often the reward being of greater value. ‘Nothing was too contemptible to be received, nor was any person deemed too humble..Among the articles presented to Elizabeth were fish, fruit, fowls, puddings, tripe, a crane, woodcocks, a popinjay, quails and other birds, pork, rabbit, Llanthony cheeses, pease cods, cakes, a wild boar, malmsey wine, flowers, chiefly roses, bucks, sweetmeats, rose water, a cushion, and a pair of clarycords’. All the bearers of these gifts would never go away empty handed. There were disbursements for servants wages, for preparing her apartments when she removed from one place to another, which she did frequently, for conveying her clothes and necessary furniture, for messengers, for the repairs of her barge and the pay of the bargemen, for her chairs and litters, the purchase of household articles, for silks, damasks, satins, cloth of gold, velvet, linen, gowns, kirtles, petticoats for her own use or for the ladies she maintained; for jewellery, trappings for horses, furs, gold chains and for the charges of her stables and greyhounds; for the support of her sister Lady Katherine Courtney and her children, including the burial of some of them; for the clothing and board of her Fool, gambling debts and so much more. Sir Nicholas notes that ‘her Majesties revenue was not adequate to cover all these demands and she was ‘not infrequently obliged to borrow money’. A look at Henry’s Privy Purse accounts shows that he, perhaps being a good egg or because it was the least he could do under the circumstances, frequently bailed his wife out although it was expected these loans were to be repaid. For herself, other than her gambling debts , Elizabeth seemed to keep an eye on the purse strings with numerous mentions of her gowns being repaired. DECEMBER 1502 item to the Quenes grace upon the Feest of St Stephen for hure disport at cardes this Cristmas 100 s.
JUNE 1502 Item ..to William Antyne coper smyth for spangelles settes square sterrys dropes and pointes after silver and gold for garnisshing of jakettes against the disguysing lvj viiij d.
AUGUST 1502 ..to my Lady Verney for money by hur delivered by commaundement of the Queen to Fyll the Kinges paynter in reward 3s. 4d. Item to John Reynold payntour for making of divers beestes and othere pleasires for the Quene at Windsore 10 s.
Later it is poignant to read about the costs of trying, vainly, to save her life when she was stricken after giving birth to her last child, Katherine. Elizabeth’s midwife Alice Massy was not forgotten; her wages being 12 shillings. And thus Elizabeth, with exemplary timing, died on the anniversary of her birthday, 11 February. Its said that Henry took her death badly and it would seem that his behaviour and attitudes took a turn for the worse after he had been widowed but that is another story. Perhaps theirs was not a passionate love, duty having bound them together, but I do get the impression from their Privy Purse accounts that they did rub along together quite nicely. Records of the borough of Nottingham 1882-1956 W H Stevenson and others. The mystery of the Cade key…. There is an interesting article by Sally Self in the Victoria County History, Gloucestershire, Newsletter 8, January 2018. I will repeat it in full, before making any comments of my own. Not to disprove anything, I hasten to say, but to show my own efforts to find out more about this key. I wish to thank Sally for giving me permission to reproduce her article. “When browsing for information on the ‘Cade’ family up sprung the words ‘Cade Key’. So, thought I, others have been there before me! Seemingly the family name was not ‘Cade’ but ‘Cade Key’ – I must have read the wooden tag incorrectly. 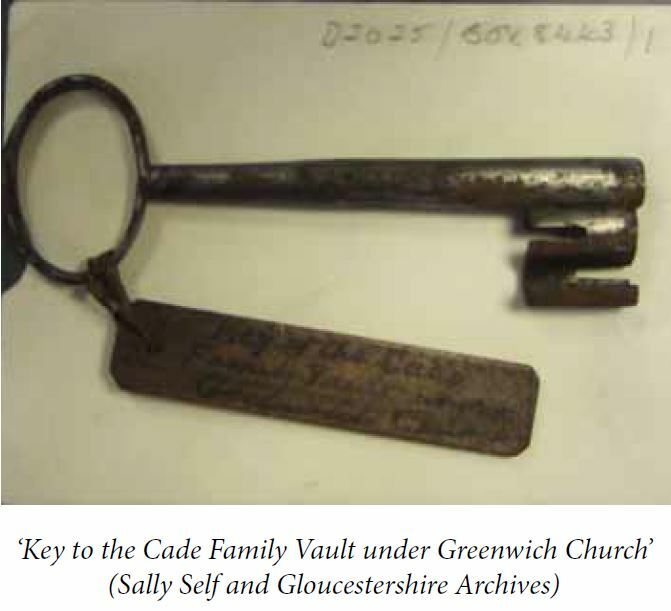 Back to the key itself – but no it did indeed say ‘Key to the Cade Family Vault under Greenwich Church’. “More research was needed. The ‘Cade’ family is of ancient Yorkshire lineage, probably pre-Conquest, with a coat of arms – I can buy a mug and/or a key ring embossed with their shield. The surname may derive from the word for a barrel or cask, possibly used as the sign for an ale house. There was of course Jack Cade of the Kent Revolt, 1450 and Shakespeare uses it in ‘stealing a cade of herrings’. According to family history sites, both the Cade and Cade Key family are now widely spread around the world, particularly in America and Australia. “The Cade Key family vault is in Hampstead, where they lived in the early 19th century, William being nominated as a possible Sheriff for London, but he died in Bath in 1823. Further research into the families would have taken days and would probably not have shed any further light on ‘our’ key. “So to the ‘Greenwich Church’. The most likely church is St Alfege of Greenwich, dedicated to the Archbishop of Canterbury, who was martyred on the site in 1012. The medieval church of 1290 collapsed in a storm of 1710 and the present church was designed by Hawksmoor. If indeed the Cades are buried there, then they have illustrious company – Thomas Tallis, General James Wolfe, Henry Kelsey, an English-born explorer of Canada, the actress Lavinia Fenton and others – unfortunately no Cades are acknowledged! An intriguing item, this key. Why is it labelled as belonging to the Cade family vault at Greenwich, if there is no Cade family vault beneath that church? I agree with Sally that the church referred to has to be St Alfege’s, simply because there does not appear to be another candidate. However, there is a coat of arms for the Cade family of Greenwich. It is described in The General Armory as: “Erm. Three piles issuing out of a chief engr. Sa. Crest—A demi cockatrice gu. Winged or, combed of the first.” Which I think is something like the illustration below left, although I see no cockatrice, demi or otherwise. 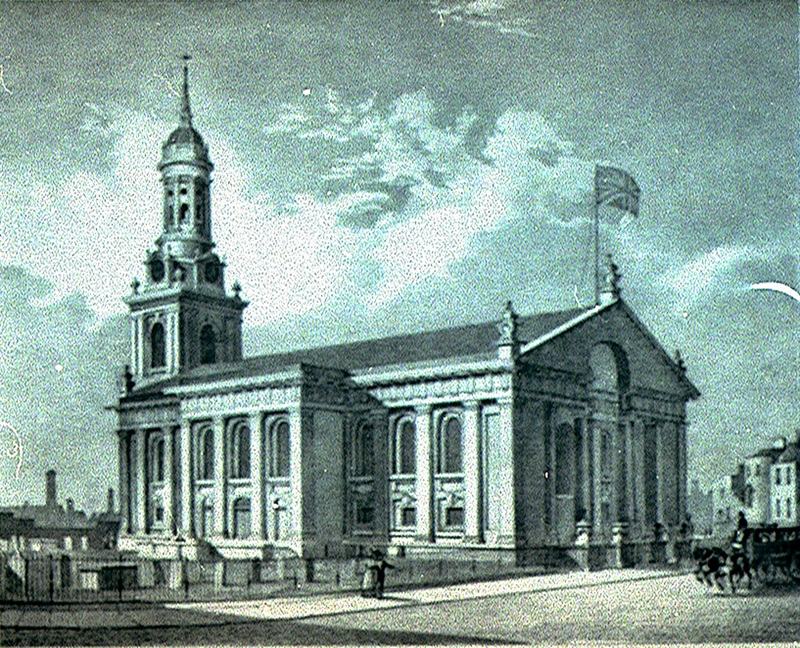 When Nicholas Hawksmoor’s replacement church was built, the money ran out before his tower could be built, so in 1730 the old medieval tower was encased and redesigned by John James of Greenwich, with the addition of a steeple, to look as if it belonged to the rest of Hawksmoor’s design. So I think the key must be 18th-century, as must be the Cade family vault to which it belongs. If there were to be such a vault. But there isn’t. Not in Greenwich, anyway. So which part of the key’s label is incorrect? The name Cade? The fact that it is concerned with Greenwich? Or maybe even that it isn’t the key to anyone’s vault, but to something else? Or, it belongs to the vault in Hampstead, where the Cades lived at the beginning of the 19th century. The site of the parish church of St-John-at-Hampstead (above) is, like St Alfege’s, about 1000 years old, and the present building is not the original, dating from 1747. There was a tomb in the churchyard (perhaps still is?) belonging to ‘Marck Cade, surgeon (1773)’. But if the key belongs to a vault in Hampstead, why is it in the Gloucester Archives? And how has it been misidentified? “In July 1450, a mysterious man known as Jack Cade led a huge force of common men from Kent into London to protest against the ailing government of the Lancastrian king Henry VI. This episode is generally regarded as being outside the bounds of the Wars of the Roses, but those edges are blurred and elastic. “When Jack Cade entered the capital he struck the London Stone, which can still be seen on Cannon Street, and, according to Shakespeare, proclaimed: “Now is Mortimer lord of this city!” After this, Cade openly adopted the provocative name John Mortimer. The Mortimer line was considered by many to be senior to the Lancastrian line, since the Mortimers were heirs apparent to Richard II – so adding weight to the later Yorkist claim to the throne. “In 1460 Richard, Duke of York would trace his lineage from Edward III’s second surviving son, Lionel, Duke of Clarence, whose only daughter had married Edmund Mortimer. The House of Lancaster was descended from John of Gaunt, Edward III’s third son. The Mortimer Earls of March had been considered the lawful heirs of the childless Richard II before he was deposed, and the Lancastrian kings eyed them with suspicion. Was Jack Cade a son of this deposed line seeking restitution? “Many would later claim that Richard, Duke of York had arranged for Cade to use the name ‘Mortimer’ to measure the response to it. Stow’s Chronicle, a Tudor source, claimed that the object of the uprising was to place York upon the throne, and Baker’s later A Chronicle of the Kings of England called Cade “an instrument of the Duke of York”. A very interesting man indeed, who may have been of far greater significance than we fully realize now. Or, he may simply have been a cypher. Unless evidence is found that tells us one way or another, we are not likely to find out now. 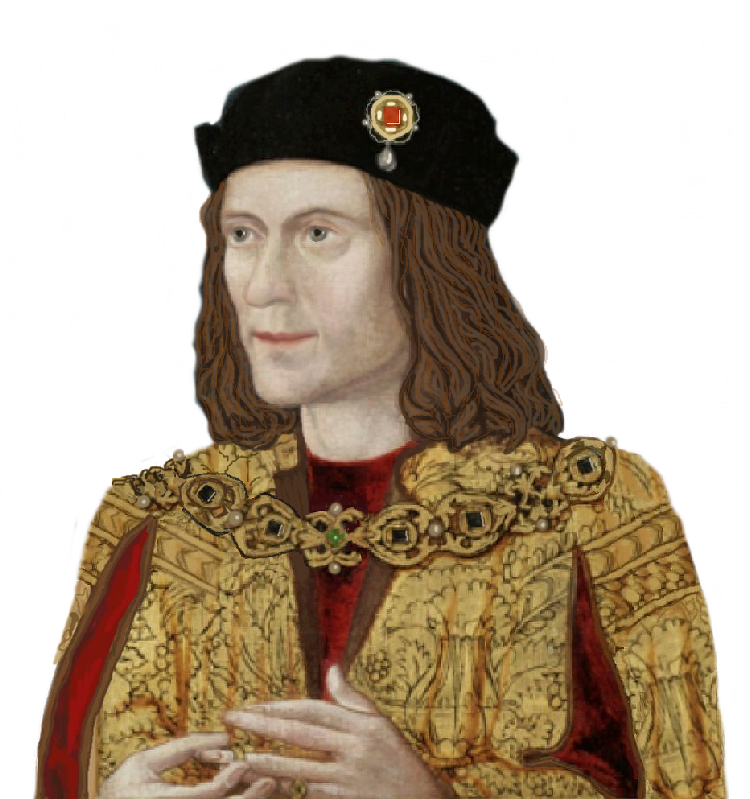 Whatever the facts, in 1450 he appeared to be firmly based in and connected to the south of England, Sussex and Kent. According to surnamedb.com:- “the first recorded spelling of the Cade family name is shown to be that of Eustace Cade, which was dated 1186, in the ‘Pipe Rolls of Lincolnshire’, during the reign of King Henry II.” The Victoria County History newsletter says the family originated in Yorkshire. I do not know which is right. Perhaps both are, for I suppose they are not mutually exclusive. By the way, the reason surnames became necessary was in order to tax people! Might have known. Otherwise, I suppose we’d all still be something like Will, son of Will, or Margaret, daughter of Will, and so on. But the mystery of the Cade key lingers on. Has anyone any ideas about it? In the meantime, I do hope a present member of the Cade family isn’t seeking a key to the ancestors’ vault. . .in Greenwich or Hampstead. It would seem that the young widow caught the eye of the even younger warrior king Edward IV, who fresh from his leading the Yorkists to victory at Towton and the overthrow of Henry VI, found himself swiftly propelled onto the throne of England. No doubt he was giddy with success because quite soon after, having met the young Eleanor, he married her in secret, an amazingly stupid action, and one which would come back to haunt him, and his bigamous “wife” Elizabeth Wydeville with all the subsequent and tragic repercussions for his family. The relationship was doomed to be one of short duration, the reasons for this being lost in time. Much has been written on this subject and I would like to focus here on the Carmelite Friary known as Whitefriars, Norwich, where Eleanor was later to be buried. 1272, 29 June ‘On the feast of St Peter and Paul in the early morning when the monks rise to say the first psalms, there was an earthquake’. 1452 A group of people begun to cause disturbances in the neighbourhood. ‘Item xl of the same felechep came rydyng to Norwiche jakked and salettyd with bowys and arwys, byllys, gleves , un Maundy Thursday, and that day aftyr none when service was doo, they, in like wise arrayid, wold have brake up the Whyte Freris dores, where seying that they came to here evensong, howbeit, they made her avant in town they shuld have sum men owt of town’. However …’the Mayer and alderman with gret multitude of peple assembled and thereupon the seyd felischep departid’. 1468, end of July – Lady Eleanor Butler, nee Talbot, daughter of the Earl of Shrewsbury and sister to of the Duchess of Norfolk, born c.1436 died 30 June 1468 was buried in the friary. 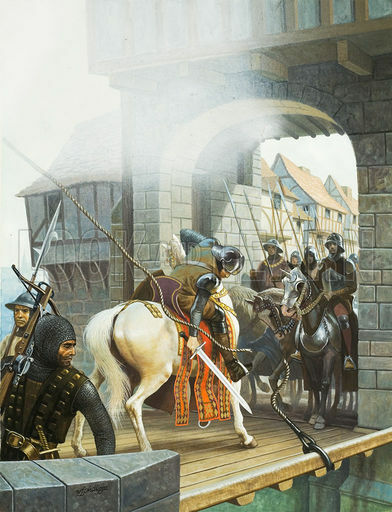 1488/9 – ‘In the langable rental of the fourth of Henry the seventh, these friars are charged two-pence half-penny for divers tenements which they had purchased’. 1538, 2l Sept – The duke of Norfolk wrote to Thomas Cromwell ‘intended yesterday to have ridden to Norwich to take surrender of the Grey Friars, but was ill and so sent his son of Surrey and others of his council who have taken the surrender and left the Dukes servants in charge. Thinks the other two friars should be enjoined to make no more waste. The Black Friars have sold their greatest bell’. The Friary was finally dissolved in 1542 and its lease granted to Richard Andrews and Leonard Chamberlain. Shortly after which the land was then divided into many different ownerships. The rest is history…. But back to the present – in 1904 foundations were discovered and in 1920 six pieces of window tracery were found and built into a wall at Factory Yard, these were to be cleared away when Jarrolds, the printers, extended their works. Thank to the intrepid George Plunkett who took photographs of old Norwich between 1930- 2006 we can see this tracery before it disappeared forever. Whitefriars Cowgate Factory Yard tracery. Photographed in 1937 by George Plunkett. Mr Plunkett also took photos of the now famous Gothic arch as it was in 1961 after it had recently been opened out. Sadly he reported that ‘a dilapidated flint wall adjoining the bridge was taken down as not worth preserving – a modern tablet identified it as having once belonged to the anchorage attached to the friary’ (3). Whitefriars Cowgate friary doorway East side 1988. Photograph by George Plunkett. Up to date views of the friary doorway. With many thanks to Dave Barlow for permission to use his beautiful photos…. An important Whitefriars relic, no longer in its original position, survived and went on to become known as the Arminghall Arch. This 14c arch has experienced a number of moves since it was taken down in the Dissolution. It was first of all erected at Arminghall Old Hall. There it remained until the Hall was also demolished. It was acquired by Russell Colman who transferred it to his grounds at Crown Point. From there it has now finally been installed at Norwich Magistrates Court, just across the bridge from its original position. ‘ARMINGHALL OLD ARCH’ 14th century arch removed from Whitefriars at the time of Dissolution. Now in Norwich Magistrates Court. 2) The Medieval Carmelite Priory at Norwich, A Chronology Richard Copsey, O.Carm, accessible here. 3) George Plunkett’s website, particularly this map. Aveline de Forz tomb and effgy. One of the earliest tombs in Westminster Abbey. On this day, 10 November, 1274, died Aveline de Forz, Countess of Lancaster and Edmund ‘Crouchback’ Plantagenet’s first wife. Aveline was the daughter of William de Forz , count of Albermarle, Lord of Holderness and Isabella de Fortibus, Countess of Devon. and having been born on 20 January 1259, at Burstwick in Holderness was 10 years old when she married Edmund, famously nicknamed Crouchback in Westminster Abbey. Initially, in 1268 Edmund had been granted royal permission to marry Aveline’s widowed mother, Isabella, a very rich lady, after the death of her husband William de Forz but the following year he married the young Aveline instead (1). Theirs was the first recorded marriage in Henry lll’s new Gothic abbey shortly after the translation of the relics of the Confessor and on her death, only five years later, she was buried there in the Sacrarium on the north side of the altar (2). Her tomb was amongst the first of many in the Abbey and her heavily worn effigy on top depicts a rather maturer lady than Aveline actually was. However it is still very beautiful and was drawn by Stothard in the 18th century when it still retained some of its original decoration and colouring. It had once been richly gessoed and heavily gilded and Stothard recorded the mantle green, the surcoat red with purple lining and the kirtle blue. He also drew Edmund’s tomb and effigy. Aveline’s effigy as drawn by Charles Alfred Stothard ‘The Monumental Effigies of Great Britain’. It has been speculated that Aveline may have died in childbirth but I have been unable to verify this and there were certainly many other causes that could have carried her off. Its interesting that her five sibings all died young and all before Aveline herself. On his death in June 1295 Edmund was first buried in the Minories also known as the Abbey of the Minoresses of St Clare without Aldgate, which he had founded jointly with his second wife Blanche of Navarre. Four years after his death he was reburied in Westminster close to Aveline (although his heart remained at the Minories) their tombs being separated by that of Aymer de Valence. His Second wife Blanche was buried elsewhere so perhaps he had requested to be buried close to Aveline. Edmund Crouchback’s effigy as drawn by Stothard. Another view of Crouchback’s effigy as drawn by Stothard 18th century. Edmund’s tomb and effigy today. Aveline died in Stockwell, which is now a busy South London suburb and I presume her death took place in the medieval Manor House, which once stood to the east of Stockwell Road, and facing the north of Stockwell Green, the green disappearing a long time ago. No traces of this manor house, the gardens and orchards of which were contained in about 4 acres , have survived, and the area is now covered by a housing estate, garages and wheelie bins but traces still linger in the name of nearby Moat Place. Remains of this moat, alleged to have been 40-50 foot wide could still be seen as late as 19th century (3) . Entrance to the tomb of Henry Vll as seen on the opening of the vault in 1869. Drawing by George Scarf. How did James I come to be interred in Henry Vll’s vault? Unfortunately it’s not known, but we do know how it was discovered to be the case. In 1868, Dean Stanley’s attention was drawn to conflicting reports of the whereabouts of James’ and his Queen, Anne of Denmark’s vault. Recognising the importance of ‘the knowledge of the exact spots where the illustrious dead repose’ (1) Dean Stanley resolved to get to the bottom of it. Although it had been noted by one brief line in the Abbey’s register that James had been buried in Henry’s vault, ‘This was not enough for Dean Stanley. He loved exploring and he pursuaded himself that he must first eliminate all other possible places by opening up each of the Royal vaults in turn’ (2). Vault after vault was opened, some were empty, some crammed full. The coffins were discovered of a multitude of royal and noble personages including Mary, Queen of Scots (Dean Stanley thought James might have been interred with his mother), Mary Tudor and her sister Elizabeth, the latter ‘s coffin on top of the other, Edward Vl, the numerous children of James II and of Queen Anne, and many others too numerous to mention here. The vault of Anne of Denmark was also found, her coffin standing alone besides the empty space where James, her husband, should have been. Where was he? Queen Anne Neville from the Salisbury Roll. Anne’s mantle equates her ancestorial arms with those of England and France. After Anne Neville’s death on the 16th March 1485 , she was given a magnificent funeral in Westminster Abbey ‘with honours no less than befitted the burial of a queen’ (1). Those wishing to visit the Abbey to pay their respects at her grave will be unable to find it, although the general location is known. The Westminster sacrist’s accounts record the payment of ₤42.12 for her burial but there are no accounts of the funeral or any monument. The Great Chronicle of London, written in the 1530s records that Anne was buried south of the high alter ‘by the South dore that does ledyth Into Seynt Edwardys Chapell’. A late 16th century list of Westminster burials also records her burial on the south side of the Sanctuary. According to Stow, Anne was buried south of the Westminster Vestry while Crull claimed her grave stood in the south choir aisle (2). A leaden coffin was discovered in 1866 south of the high altar but was not disturbed (4). However it is unclear whether this was Anne’s coffin or that of another queen Anne, Anne of Cleves. in 1960 an enamelled shield of arms with a brass plate was placed on the wall of the south ambulatory as near to the grave site as possible, by the Richard lll Society. The brass plate is inscribed with the words ANNE NEVILL 1456-1485 QUEEN OF ENGLAND YOUNGER DAUGHTER OF RICHARD EARL OF WARWICK CALLED THE KINGMAKER WIFE TO THE LAST PLANTAGENET KING RICHARD lll ‘In person she was seemly, amiable and beauteous and according to the interpretation of her name Anne full gracious’ REQUIESCAT IN PACE. The quotation is taken from the Rous Roll. Anne from the Rous Roll. Maybe it will be a comfort to those that travel to Westminster Abbey only to find they cannot find Anne’s grave to contemplate that the inibility to trace it may have saved Anne’s mortal remains from the desecration and resulting loss that befell the remains of her sister, Isobel Duchess of Clarence and her sister-in-law, Elizabeth Wydeville . More reburials based around Richard’s service at Leicester…. Richard III’s reburial service is to be adapted for more reburials, this time of Anglo-Saxon Christians-men, women and children-found at Kirkleatham, have been laid to rest at St Cuthbert’s, Redcar.